The remaining 29 vehicles are to be delivered by year end. 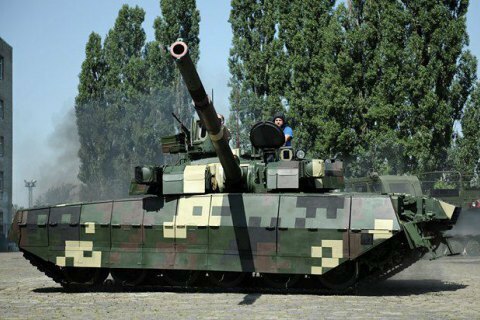 Ukraine has sent Thailand the third batch of 10 latest Oplot tanks built by the Kharkiv Malyshev plant in accordance with the 200m-dollar contract signed in 2011. The batch has recently arrived at the Sattahip naval base in Thailand, according to Interfax-Ukraine. The batch was dispatched in December 2015, the next one is expected to be delivered in 2016. According to a source in the defence sector, Ukraine is planning to complete the Thai contract in full by year end. "It is planned to supply the customer with 29 more vehicles under the contract this year too, subject to consent of the military office," the source said. The Ukrainian Armed Forces took Oplot into service in May 2009. Because of the Russian aggression, in 2014 Ukraine suspended a number of export contracts as key military hardware had to be sent to the antiterrorist operation area in Donbas. The Ukroboronprom company announced resuming the export of weapons thanks to increased production in 2015-16. Proceeds are expected to be used to modernize the Ukrainian army.